Would you wash your hands with paper or use a dry form of cleaning instead of taking a shower? Hardly. Cleanliness is not possible without water. 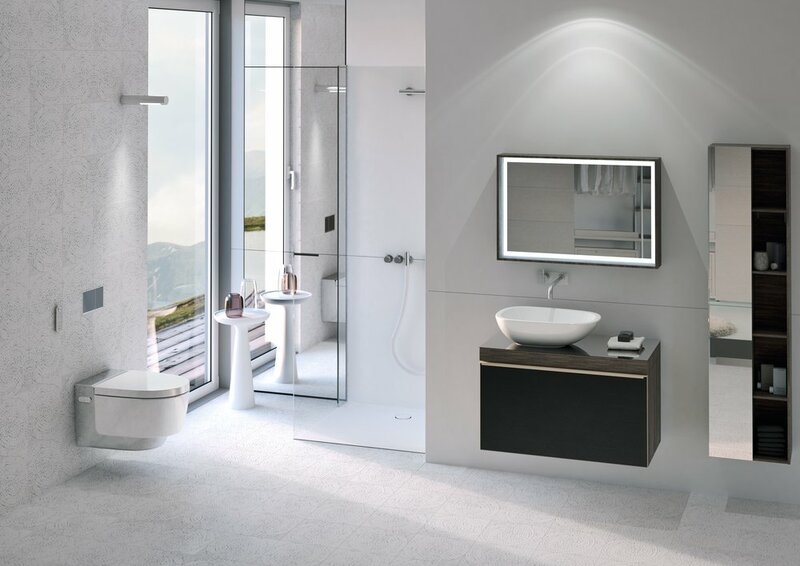 Thus, just as a daily shower has become the norm, Geberit is ushering in a sustainable change in bathroom hygiene, with the Geberit AquaClean shower toilet. 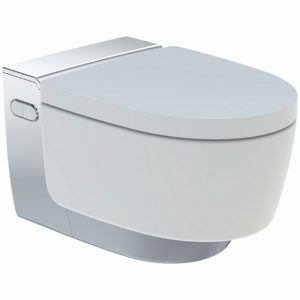 At the touch of a button, you can feel as fresh after using the toilet as if you’d just taken a shower. The Geberit AquaClean leaves nothing to be desired and offers many extra pampering functions in addition to the shower function: the spray temperature and intensity can be adjusted to suit your personal preferences. The pulsating massage function has an invigorating effect, while the soft lady wash is ideal for ensuring gentle personal hygiene for women. As soon as you sit down on the shower toilet, the automatic odour extraction function switches on, creating a pleasant ambiance of freshness in the room. After the spray has finished, the integrated warm-air dryer dries you off in comfort. The final practical touch: all functions can be individually adjusted and your preferences saved via remote control. 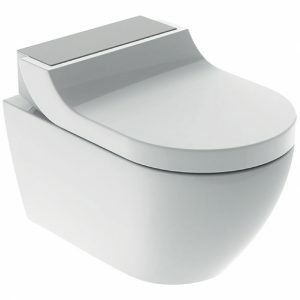 Geberit Aquaclean is also available as an enhancement solution which can be fitted to most existing toilets, starting with the Geberit Aquaclean 4000 which has all the basic functions you need from a shower toilet.